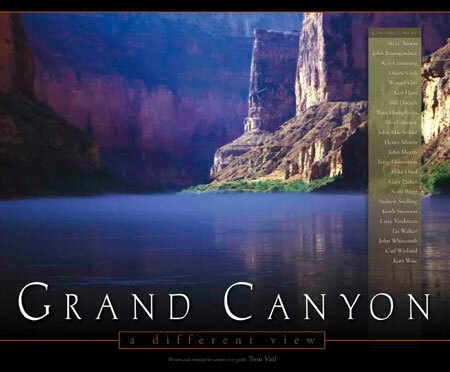 Before leaving on my 8-day Grand Canyon river trip, I checked the American Solutions’ website; and, as of 5:25 AM, 1,086,047 people have signed the “Drill Now. Drill Here. Pay Less” petition. Since my last post at 9:48 PM last evening, this means that 4,956 people in a little less than six hours have signed this petition. Hopefully, the swelling number of people signing the petition will put some pressure on Congress. And, if not, we need to vote some of these Congressmen out of office. To sign the petition, click here. While Washington dithers over exploiting oil and gas reserves off the coast of Florida, China has seized the opportunity to gobble up these deposits, which run throughout Latin America, the Caribbean and along the U.S. Gulf coast. The Chinese have forged a deal with Cuban leader Fidel Castro to explore and tap into massive oil reserves almost within sight of Key West, Florida. At the same time, Venezuelan President Hugo Chavez, who controls the largest oil reserves in the Western Hemisphere, is making deals to sell his country’s oil to China, oil that is currently coming to the United States. 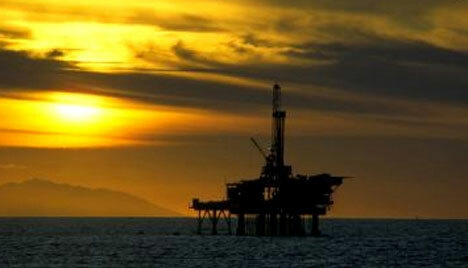 To continue reading Mayer’s “China Starts Oil Drilling off Flordia,” click here. I noticed the American Solutions’ “Drill Here. Drill Now. Pay Less” petition now has 1,081,091 signatures. To read about the latest news with this petition, go here. And, if you have not signed this petition yet, you need to do it now by clicking this link. John McCain has recently taken a step toward the right position on lifting the ban on offshore oil drilling though in my opinion he has not gone far enough. However, Barack Obama has remained consistent with his position as the most liberal Democrat in the Senate by remaining opposed to offshore drilling. Today’s editorial page of the National Review Online supports lifting the ban on drilling for offshore oil. John McCain is finally starting to exploit Barack Obama’s weakness on the energy issue. With gasoline topping $4 per gallon, McCain reversed his stance on offshore drilling and called for Congress to lift a 27-year-old moratorium on coastal energy exploration. With this shift, McCain has put himself on the same side as two-thirds of the American people, according to a recent poll. Obama, meanwhile, has said that he “would have preferred a gradual adjustment” toward $4 per gallon gasoline, but otherwise he seems amenable to it — as we would be, if that $4 price reflected market conditions instead of government restriction of the energy supply. Lifting the ban on offshore drilling won’t increase supply right away, but would signal to oil speculators that the U.S. is serious about increasing domestic production, long smothered under regulatory and tax practices that discourage exploration and the expansion of our refining capacity. That could immediately put downward pressure on the price of oil and alone would do more to reduce the price at the pump than anything Barack Obama has proposed. But McCain should go even further. Something needs to be done to correct the foolishness of our Congress’ opposition to offshore drilling—the vast majority of this opposition comes from Democrats. Let me again suggest that, if you have not signed Americans Solutions’ “Drill Here! Drill Now! Pay Less!” petition, now is the time to do this. As of this morning, 956,681 people have signed it, and this number is growing while I write this post. To sign this, click here. In addition, United States Rep. Lynn Westmoreland is circulating a pledge in Congress to increase United States oil production to lower our gas prices. So that you can identify these Congressman to make informed votes this fall, go to Rep. Westmoreland’s webpage House members who signed pledge to increase U.S. oil. Friends, now is the time to act and not tomorrow. This morning I read a few more articles about Congressional gridlock on the issue of utilizing American oil resources. According to Bill Steigerwald of the Pittsburgh Tribune Review, the federal Minerals Management Service estimates that “86 billion barrels of oil and 420 trillion cubic feet of natural gas are locked up and untouchable just off our shores.” Locked up by whom? It is neither the UN nor big oil companies. It is our Congress. As Steigerwald, goes on to note “Rep. John Peterson, a Republican from upstate Pennsylvania whose crusade to fix America’s broken energy policy has brought him the interplanetary enmity of environmentalists, has made it his mission to slay that foolish rider.” The only thing that Peterson wants “to do is get Congress to allow America to do what every other sensible modern country on Earth from Norway to New Zealand has been doing for decades — open our deep-sea energy reserves to safe, environmentally sensitive development.” To continue reading this article, go to Drill now, drill here, pay less – Pittsburgh Tribune-Review.” After you finish reading this article, check out this video from the Wall Street Journal. Finally and more importantly, after you have read the cited article in this post and have viewed the short video, I highly recommend that you sign this petition and join the 787,593 people who have already signed this petition. Friends, we may have some fools in Congress but we not need share in their foolishness. Gas prices are killing me. Every time I get gas I feel like I am being violated. My infuriation grows as gas prices increase. What exacerbates my frustration is the gridlock in congress. To begin correcting the problem about excessively growing gas prices, I signed the petition at American Solutions. The objective of this petition is to to bring an awareness to congress of the advantages in drilling for oil within the continental US and the surrounding regions. The petition says: “We, therefore, the undersigned citizens of the United States, petition the U.S. Congress to act immediately to lower gasoline prices (and diesel and other fuel prices)* by authorizing the exploration of proven energy reserves to reduce our dependence on foreign energy sources from unstable countries.” To sign the petition, go American Solutions – Petitions. Today was the first day for my summer class on Understanding the Psalms. In doing research for my class, John Goldingay’s two volumes on Psalms 1-89 are a welcome addition to the growing number of commentaries on the Psalter. Psalms, vol. 1: Psalms 1-41 and Psalms, vol. 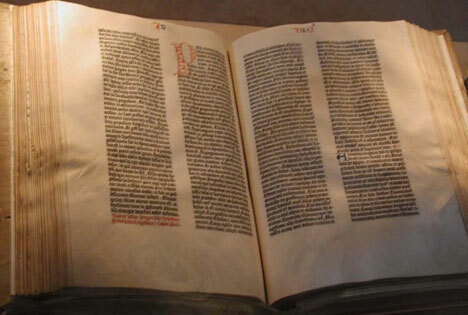 2: Psalms 42-89 are the first two installments of a projected three-volume commentary on the book of Psalms (Psalms, vol. 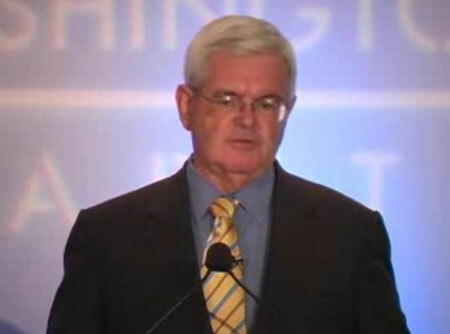 3: Psalms 90-150 is scheduled to be released by Baker in November of 2008). This three-volume work is part of Baker Book’s projected six-volume series, Baker Commentary on the Old Testament Wisdom and Psalms. 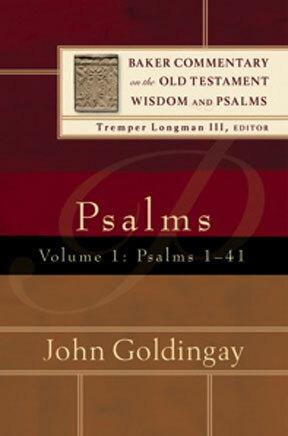 After a 58-page introduction to Psalms, Goldingay’s first volume treats Psalms 1-41. With each psalm in both volumes, he provides his own translation, followed by a section on interpretation and theological implications. Each volume is concluded with a glossary, bibliography, indices referencing subjects, authors, scripture and other ancient writings. 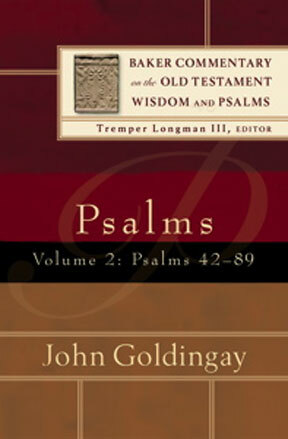 In this multi-volume work on the Psalms, John Goldingay, a prolific Old Testament scholar, combines thorough exegetical work with an ability to communicate the message of each psalm. The inherent substance of this multi-volume set is his exegetical interaction with the Hebrew text. 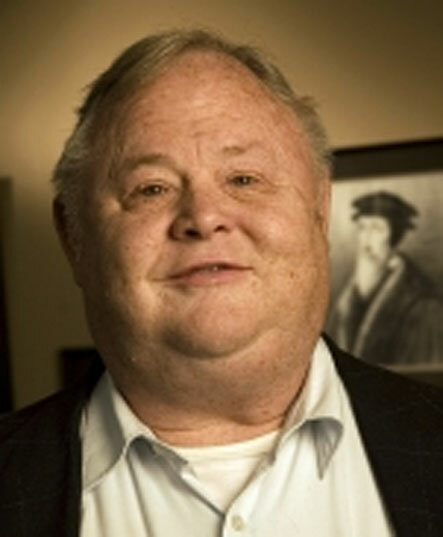 However, while providing thorough exegetical insight, Goldingay writes in such a way that the message of each psalm is assessable to seminary students, pastors and scholars. Dr. Goldingay’s first two-volumes on Psalms is a refreshing acquisition to the exegetical resources I have collected on the Psalter. Whether you are preparing a Bible study on Psalms 1–89 or a sermon, both of these volumes will be a valuable asset to your study. I look forward to the release of the third volume in November. What Makes Humans Distinct from Animals?